After reading through the questionnaire, especially the adjectives, we completely agree that the Z is the asset to utilize. 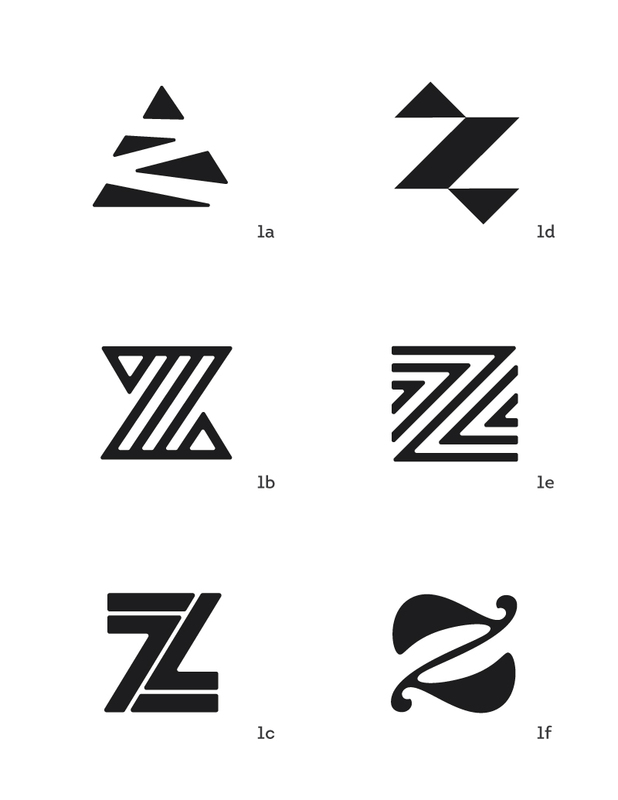 The Z is one of the most uncommon letters in the English language, least common in appearance and second least common as the first letter of a word (0.017% more frequent than X.) Z is also naturally balanced and symmetrical, both of which insinuate thoughtfulness, intelligence and even a presence of power. Knowing the Z was going to be the main player, we decided instead of a few rough pencil sketches we would create a good many quick digital renderings. We are showing just ideas for the main Icon, purposely leaving out the Main Type and Tagline (as well as color), since those will be effected by these first decisions. Although these are concepts/sketches, many could pretty much be used as they are. Feel free to comment on any aspect of any of these marks, this is the exploration round. If you have any questions, or want to hear more about a specific mark please don't hesitate to ask!